Creating and developing a website is a big task that requires a lot of designing skills and technical expertise, but promoting and marketing of a website is the real challenge. This is the criteria where your entire performance is judged as the success of a website is actually measured on the basis of the number of the visitors approaching the website. This is because it is the real aim of the overall web designing and developing process is for connecting people, informing them about the products and services, and converting them into the dedicated customers. It actually increases the incomes and profits of the organization. 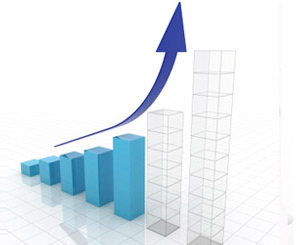 A lot of material has been written and availed by the writers for website promotion methods. So what is different in this article? This one is aimed to introduce some ideas to market your website, and getting the potential buyers to your website. Here you can get the basic information and the tricks and the techniques which you already know and of course forgot about. These promotional methods are the most proven ideas suggested by the marketing experts and followed by the market leaders and business tycoons. How to optimize a new site for Bing? 1 Website Promotion Strategies: How to promote your website and How to get more visitors to your website? Website Promotion Strategies: How to promote your website and How to get more visitors to your website? This is the best and the most preferred way to promote a website. keyword keywords research and optimization, it is the rather inexpensive way to rank your website in the top positions of the search engines and attract the visitors. The title should contain the keyword: There should be a separate and descriptive page title for each web page containing the keyword yet in an attractive form. It will be good enough if you can manage to place the keyword with the name of your company or organization. For example, you are Ms. Cream & Sugarcraft Ltd. The producer and supplier of cake decorating item and this is the keyword and what the people looking for; your homepage title should be “cake decorating item-Cream & Sugarcraft”. It has been proven through the researchers that people usually go to the website that contains both the keyword and the name of the company both in the link and click on it. A descriptive META tag: It is a normal trend that a description is placed below the hyperlinked title. This description should be in the introductory manner containing the keyword that is featured on the webpage. The META description should be limited to 225 words (on Google) or according to the policy of the search engine. The first 60-70 words are more important as they are visible specifically on the search engine page. Use of the keyword in the web page: The search engine spiders easily track the web pages that involve the smart use of the keywords in their content. In the heading and sub-heading the home page or the related web page, the effective use of the keyword can be very fruitful for the search engine ranking of the site. Now, come to the body of the page; the keyword density must be limited to 2- 3% of the entire text. Create a sitemap: If you have a larger site, and you want the search engine and the visitors find and locate all the web pages on it, you need to design a sitemap with the links. 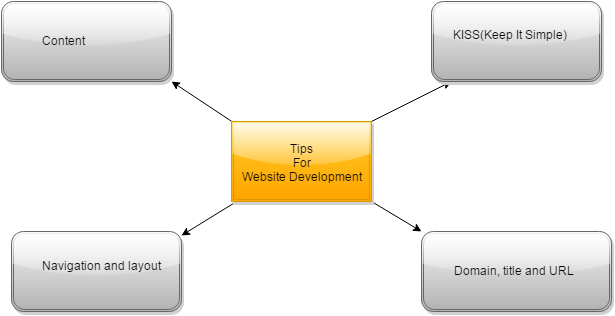 The use of XML-Sitemaps.com can be very helpful here as it provides the free tools to create the sitemap. A separate web page for each target keyword: As per the SEO experts, you should create a web page based on each keyword for that you want higher rankings of your website and avoid the application of the content as it can cause penalization. You should develop a separate content or the material for each of your targeted keywords, for example, “cake decoration”, “wedding cake decoration”, “popular cake decoration” and “cake decorating ideas”. Your links to the other websites also attract traffic to your website. Major search engines such as Google measure your link popularity and the website with a good amount of linking is generally placed higher on the ranking chart. Submission with key directories: A directory is not the search engine, it is actually a sorted list of the sites based on the category and the subcategory. Open Directory Project is a free directory that is popular and seen by the volunteer editors; listing with it is sometimes needed a lot of patience but surely helps you a lot. Some other paid yet very popular directories are Yahoo Directory, Bussiness.com, and About.com. The trade organization and specialized directories: There are some directories specifically developed or a particular business or industry such as food and culinary or hospitality business. Get the link to the directory that belongs to your stream and gets listed. Don’t matter the charges payable for this listing, it will definitely benefit you in improving your ranking and getting the increased traffic. You should use the power of social media for your best benefits as these mushrooming fields are the best platforms to communicate and interact with a large number of audiences. There are basically four types of social media –blogs, social networking sites, social bookmarking sites, and forums. Start your own business blog: If you are a good writer and can offer an excellent content or the comment on the current market scenario, you can attract more likes for your post and this will ultimately increase the popularity and rating of your site. Join a social media community: Facebook, Twitter, and Google+ are some most popular online business communities where you can easily get in and promote your website to the right people and the really interested potential customers. Ask visitors’ participation: You can also ask the visitors to bookmark your site or add it to their favorite list. If you manage to provide the nice content with better consistency, you can earn a remarkable number of likes that will undoubtedly increase the ranking of your website. The old school of marketing and promotion are still effective and can help in achieving the marketing goals. You should apply this mixed media approach to increase the visitors’ queries at your website. Mention the web link on your printed advertisement: All your brochures, cards, literature and the related stationary must contain the URL link of your website in the correct spelling and form. Develop an attractive free service invitation: It is an attractive but expensive and time-consuming approach that you add a free resource at your website and publishes its ad in the print media as “visit our website to get the free and exclusive ideas to remodel your house in your limited budget”. This will attract the traffic to your site and don’t forget to add the link to sales and service portion of the website. Publish and post the e-mail newsletters: Here you can publish a monthly newsletter with the market information, new product launch, educating materials and tips to use your products in the most effective manner. This will create the awareness and the increased sing up to your newsletter and the website will increase the traffic to your site. Send the transactional and reminder letters to your present and potential clients and the members of your social networking communities. 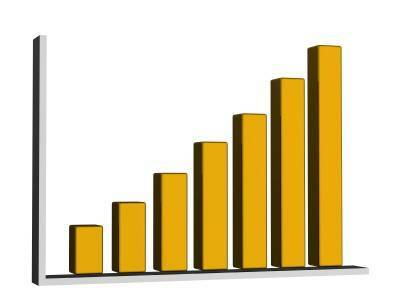 I made this article help you on how to promote your website and get more visitors. so using this technique and strategies may result in improving your website presence for sure. If you have any query related to this website promotion article then please feel free to comment. We all know how important it is to promote our sites effectively, without traffic to a webpage, its just useless. This is why we should always find good ways to get the word out there about our site. There are also so many ways to do this and the strategies you mentioned here are also good if well implemented. Theodore Nwangene,glad you liked it.